VFW 1040 Honor Guard. Photo courtesy Edmonds Community College. Edmonds Community College will host its sixth annual Veterans Day Celebration from 10:30 am to 1:00 pm on Wednesday, November 7, 2018, on campus in the Black Box Theatre. This will be a special event to recognize WWI veterans on the 100-year anniversary of the war’s end. 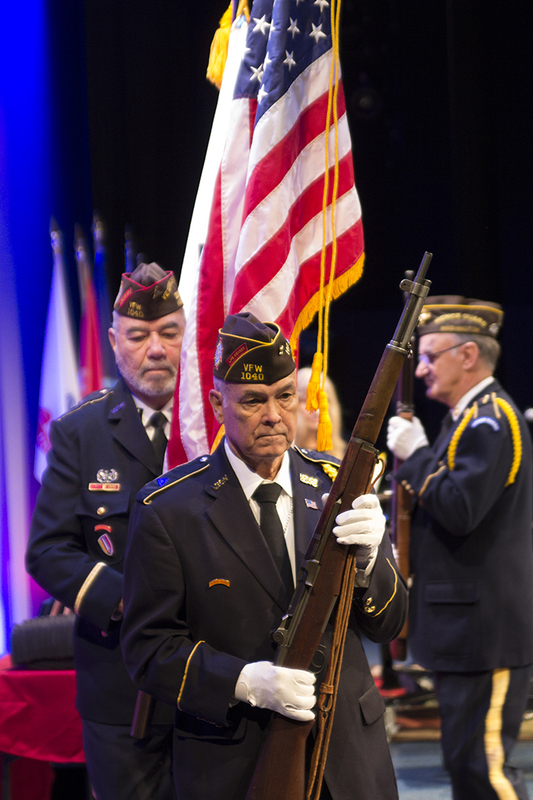 “This year marks 100 years since the end of World War I, and although there are no more living World War I veterans, we want to honor their service, sacrifice, and the role they played in preserving our liberty,” Szarek said. He went on to say, “It's important to remember that our freedom is not free, but rather an inheritance safeguarded and passed on by generations before us to those currently serving and others who will come after us."